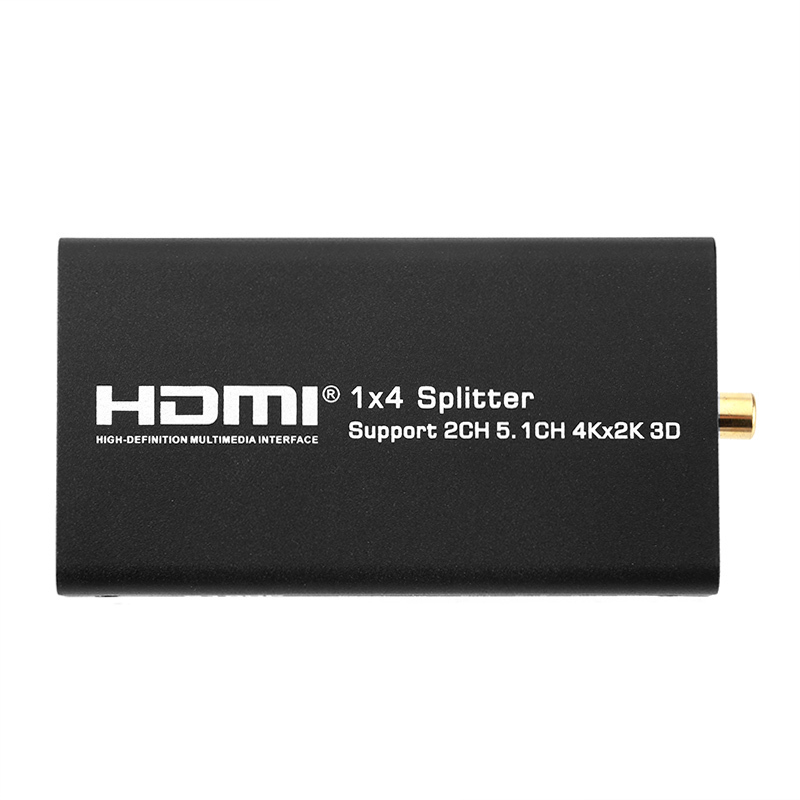 This simple HDMI converter allows you to connect to up to four displays to one signal source. 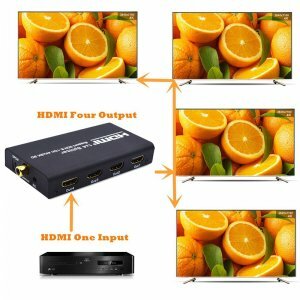 Thank to this, you’ll be allowed to simultaneously display the same image on each of your monitors. It comes with one HDMI in and four HDMI out ports. If you’re looking for a way to share your media with a wider audience, this HDMI switch offers the perfect solution. 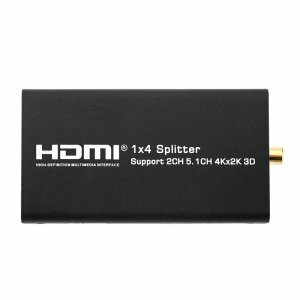 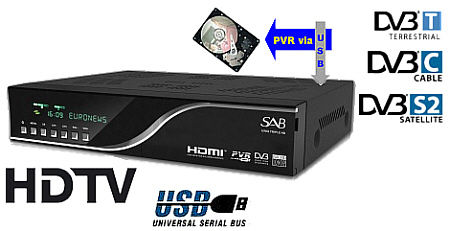 The HDMI separator is ideal to be used with DVD players, network players, computers, or game consoles. In fact, you can effortlessly use it with any one of your electronics as long as it features an HDMI interface. 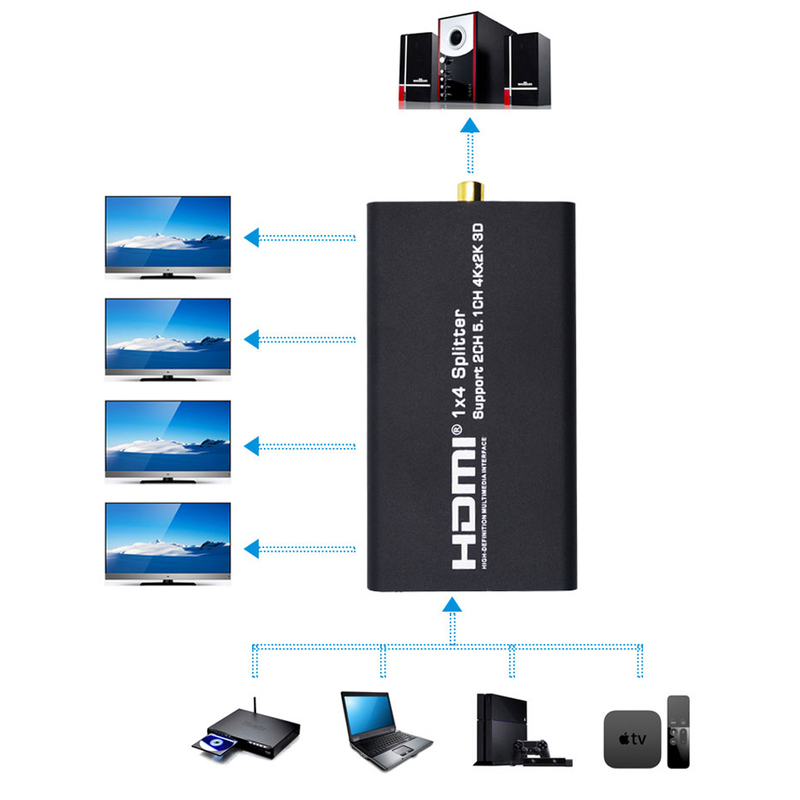 An HDMI separator supports the transmission of a wide range of audio and media files. 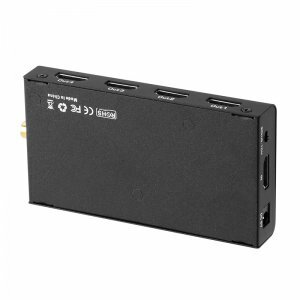 It even supports 4K resolution at 30fps. Thanks to this, you’ll truly be able to transfer any sort and quality video onto your external displays. 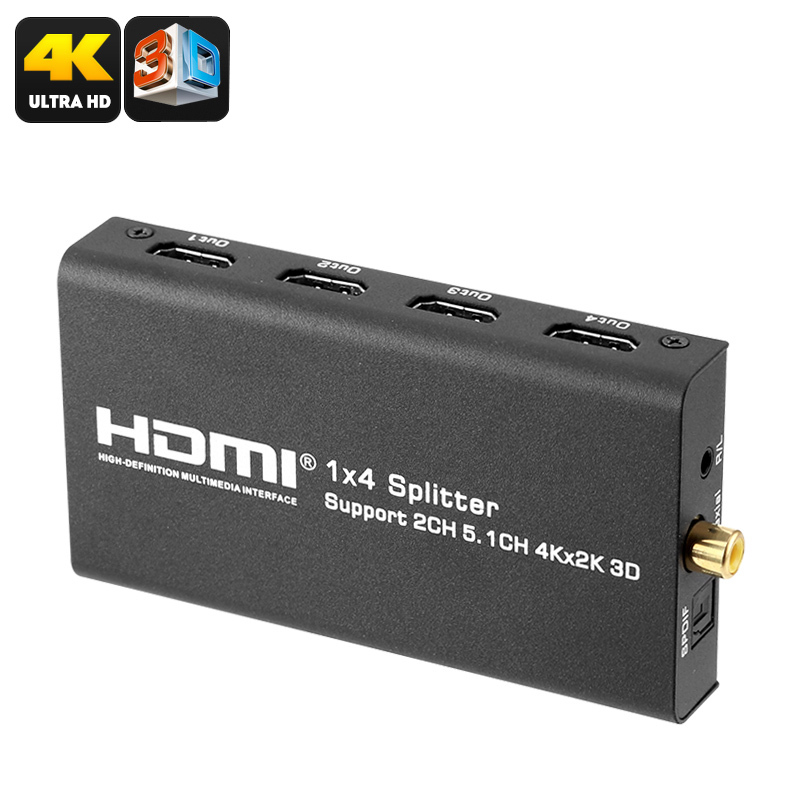 If you happen to own several 4K TV sets, this HDMI separator allows you and your audience to watch stunning visuals and graphics on numerous displays at the same time. Besides its media transfer capabilities, this HDMI switch also allows you to share a wide range of audio output formats without the loss of any quality. 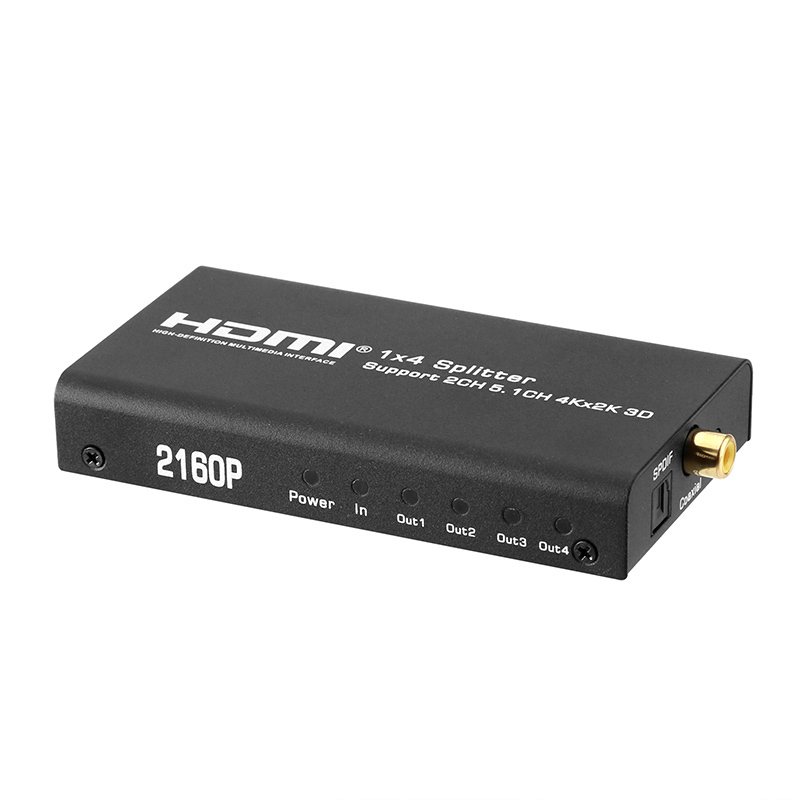 It even can be hooked up your amplifier. If you wish to reach a large number of people during presentations, conferences, or corporate training sessions, this is perfect for you. 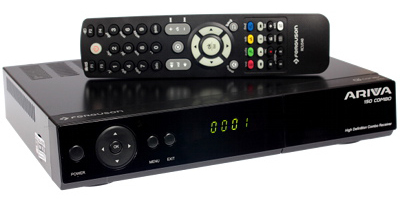 Simply connect it to your media source and hook it up to the number of external displays of your liking. 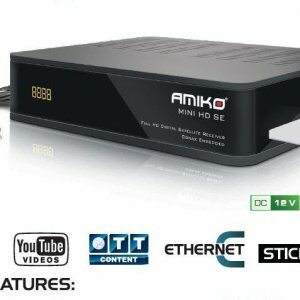 It features 10.2Gbps transfer speeds so you can be assured that all video and audio files will be transmitted without any delay.